This game is the best version to buy on the PS1, lots of fun playing it brings back so many memories when I was younger very glad to buy this game and it works perfectly fine. Must have for wrestling fans and if your not a fan this game is still enjoyable and fun. 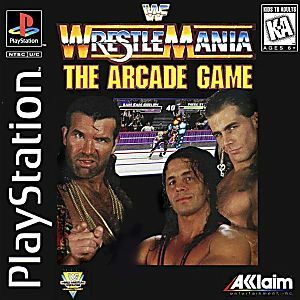 I used to play the hell out of this game when I was young brings back a lot of childhood memories and my son beating me in this too???????. As always good shape like new condition and works well. Thanks Lukie Games. The best version of this game for home consoles, by far. Sure, you lose the soundtrack during the match, but the enhanced speed, visuals and character selection more than make up for it. Just don't come into this expecting a sim-style wrestling game - this is more of a regular fighter, for sure.